We were all shocked by the death of former Linkin Park’s frontman Chester Bennington. Personally, I am always touched by suicide, and when I heard about him it was one of those moments when all you can do is shake your head in compassion. I found “Numb” and “In the end” particularly powerful in the way they conveyed that state of mind in which we all inevitably find ourselves, and sadly only a few manage to get out of. And boy was he right. It may not be an easy battle to fight, but the truth is: You can win it. When we face depression and anxiety we are pushed (by life circumstances) to a very particular state of mind that nobody ever taught us how to fight or get out of. Hell, I didn’t even know it was “a thing” until I was a teenager! But that was after more than a decade of suffering anxiety and depression. You are broken, there is no cure for you. There is nothing you can do to remedy your situation. All power is stripped from us! We are, in the eyes of society, mere victims of a chronic problem nobody can solve. And I have never liked this. Today is the day to remember this is BS… Today is the day you stop believing this crap and start taking back your power. Only you can cure yourself from anxiety and depression. No pill, therapist or guru can get rid of it for you. It is you who must overcome it by learning new tools, by daily life choices and by changing the things that contribute to depression and anxiety. You have complete power to influence your state of mind, make no mistake. I understand if you don’t quite agree with this, and it is ok. I would have taken this with skepticism too, but you don’t have to believe me, you can prove this to yourself. And I kinda had it right, I was making the mistake of looking for the solution outside when the answer was within myself. If Chester knew this, why did he sadly decide to “take the next exit”? Because no one makes it easy for us! On the contrary, our society is configured to make it harder for us as we lack the Emotional Education necessary to overcome these emotional problems. The purpose of this blog is to give you those tools, to educate you on the most Fundamental Psychology, so that you can know your mind and emotions, work with them and overcome depression and anxiety. 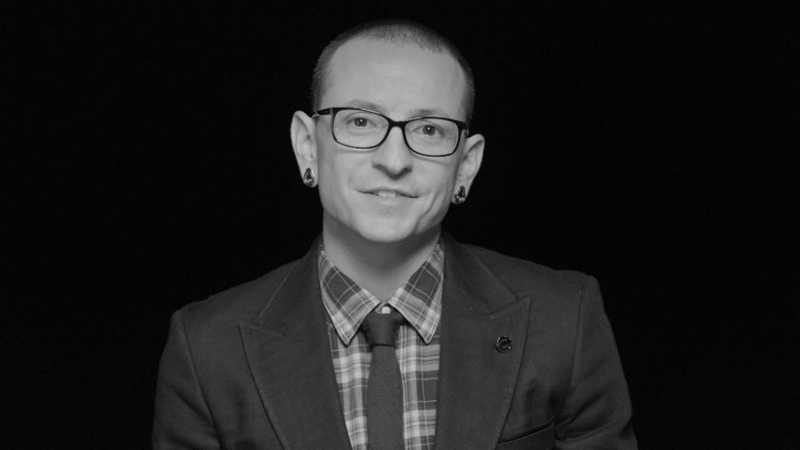 Chester was a Warrior who unfortunately didn’t make it, but he left an amazing legacy. In just a few words he packed such wisdom and left it to you. Yes, to you. He knew we all walk different paths and that maybe not everybody will get the message at the right moment. But he made it clear for you, so that you don’t make the mistake of thinking there is no solution. He wanted us all to know we have the power within. Instead of taking this as a message of despair, let’s make it a message of hope, and most importantly: Empowerment. You have the power to cure yourself. You just have to keep fighting Warrior, and I invite you to join me in this amazing journey to defeat anxiety and depression. In other words: There IS a way, you just have to make a stand, because you have the power. There is an answer to all that pain, all that suffering. You will find your answer if you fight it and learn from your own experience. Thank you Chester for all the wisdom. May you rest in peace.